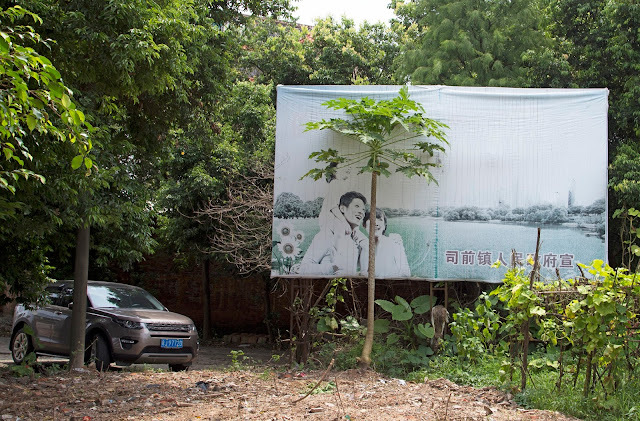 (In)visible Wounds is an exhibition that investigates China’s one-child policy through a combination of vérité footage, personal interviews, archival materials, reenactments and still photography. By juxtaposing personal stories with official narratives, this exhibition focuses on the complex social implications and tensions between the Chinese government and those affected by the enforcement of the one-child policy. During several visits to her hometown, Jiangmen, a small city located in Southern China, Wu witnessed some of the lasting pain and suffering caused by the forced abortions and sterilizations performed on women. Women’s bodies became the site that bore the burden of the policy. Wu also observed the poor supervision of the women’s health care system that was unable to provide sufficient medical support in IUD insertion, abortion and sterilization surgeries. The lack of proper supports caused irreversible damage to some women; both mentally and physically. Contradicting the Chinese tradition of the “big family” and a preference for sons, the policy forced women to choose between the dictates of the regime and the values of their family members. As a result, some women had to face pressures from both the regime and their family members. Nonetheless, the policy was successful in population control, national economic advancement and enhancing the social status of urban women. The one-child policy was the state policy in China from the late seventies to 2015. Growing up as an only child in China, Wu was accustomed to seeing propaganda about family planning policies in textbooks, on television and in public spaces. After 35 years, the implementation of the two-child policy in 2015 marked the end of the one-child policy. The propaganda signs and slogans that once covered the streets are now being quickly eradicated and replaced to represent the new policy. This project culminates two years of research, investigation and artistic creation. It aims to document this period of change and use it as a starting point to approach the more intimate, personal memories that were submerged and suppressed under the coercive control of the government policy.